Permaculture is becoming an increasingly popular design system for gardeners. Learn about this popular system, plus ten herbs that can improve your garden’s productivity and overall health, while reducing maintenance time. 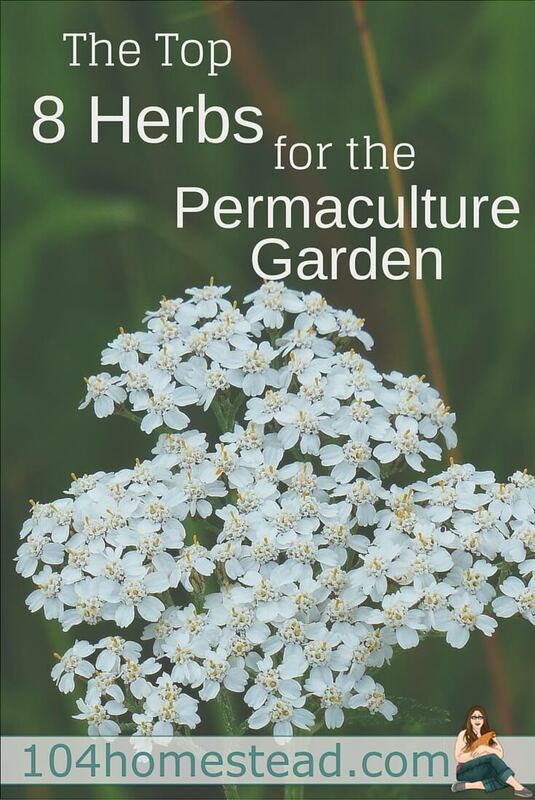 Before launching into 8 super-cool permaculture herbs, let’s talk about permaculture. What is it? In general, permaculture is an ecological design science that is modeled after nature and used to create sustainable human settlements. While permaculture is useful in urban planning and infrastructure discussions, its real bread-and-butter is in designing efficient and regenerative landscapes. Consider a forest, which is a highly productive environment. Tall trees, small trees, shrubs, herbs, ground covers, and vines all naturally live together in a seemingly chaotic manner. No one weeds, fertilizes, sprays pesticides, or rakes up leaves in the forest. Yet miraculously, the forest produces nuts, fruits, herbs, medicine and even mushrooms. In permaculture, we seek to design garden systems that mimic natural systems like the forest or prairie, to get a productive yield without having to do so much work. This is good news for the busy gardener! There are a lot of ways to use permaculture techniques to improve the efficiency of our gardens and reduce the amount of work we have to do. Rainwater catchment is one important example. In order to reduce time spent irrigating, permaculture designers use earthworks such as swales to direct and manage water in the landscape. We created a swale-and-rain-garden system in our front yard garden. In addition to water, permaculturists seek to create combinations of plants that work together much like all those plants growing together in the forest. These groups of plants work synergistically together, each offering the other something it needs. These groupings are called guilds. Guilds are most commonly used in permaculture for fruit tree production. A fruit tree in a guild will be underplanted with herbaceous plants that help fertilize, attract pollinators and beneficial insects, provide mulch, and deter pests. Ideally, a guild would include plants that achieve all these functions. Herbs help us create healthier garden ecosystems and reduce the amount of work, allowing us to have more time to sit and enjoy our garden! Herbs will fertilize, attract pollinators and beneficial insects, provide mulch, and deter pests. 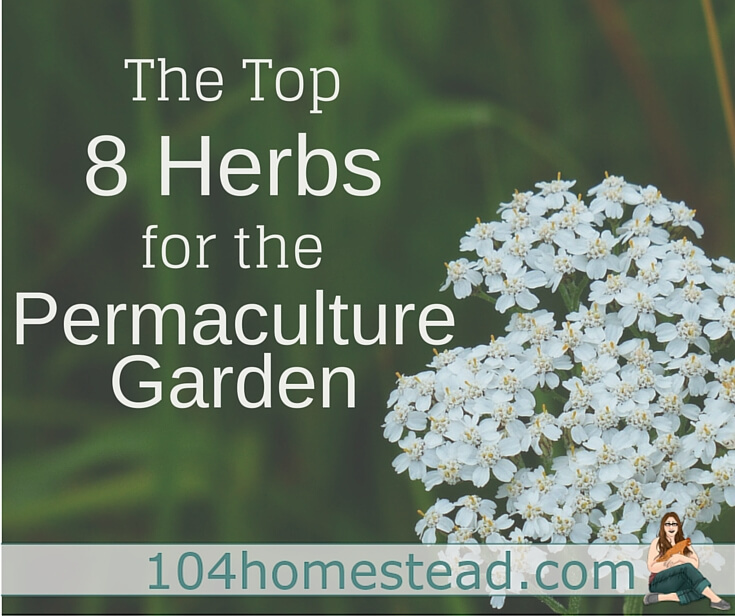 Without further ado, here are my top 8 most useful herbs to have in the garden. Say what? You want me to let this weed in my garden??? Surprisingly, dandelions – like many weeds – benefit our garden in many ways, the most important of which is fertilizer. Dandelions reach deep into the subsoil with those long taproots, dredge up important nutrients, and store them in their leaves. Dandelions excel at accumulating potassium, phosphorus, calcium, and a handful of other nutrients in its leaves, which are important for healthy plant growth. When those leaves die back or are cut back and left to decompose, they fertilize the soil. I let dandelions grow in my vegetable garden and it is common to encourage dandelions to grow in orchards under fruit trees. Dandelions increase earthworm populations, which is good for soil health. About once a month I snip the leaves off and compost them in place, which also discourages the plant from flowering and going to seed. Dandelions are good, but I don’t need a dandelion garden! Those nutrient-rich leaves aren’t only good for my garden and my soil, but they’re also good for me. Yep, dandelion greens are edible. I add the young, bright green spring leaves to salad mix. Some market gardeners even cultivate a specific variety of dandelion with giant leaves as a crop. On purpose! Local chefs go nuts over it. Also, apparently, so do chickens. Consider adding dandelion seed to your foraging seed mix. As if that weren’t enough, dandelion also has medicinal uses. The dried root is an excellent liver and kidney tonic. 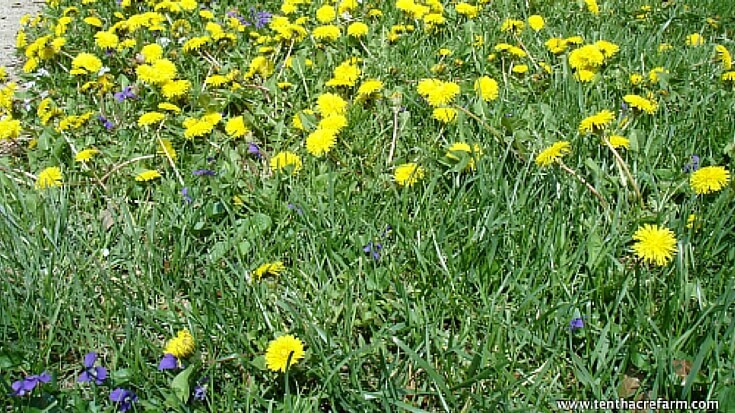 If dandelions are left to flower, they will attract pollinators and beneficial insects. For all of these reasons and more, dandelion is one of my top 5 weeds to keep in the garden. Yarrow is a gorgeous flower that is beloved by all manner of beneficial insects: ladybugs, hoverflies, parasitic wasps, and lacewings. I plant yarrow in between every few rows in the vegetable garden. Its scent will confuse pests trying to hone in on your vegetable crops! Yarrow is also a great fertilizer, its leaves are rich in potassium and phosphorus. When it finishes flowering in the fall, I chop it down and let it compost in place in the vegetable garden, or add it to the compost pile. Yarrow will provide these same fertilizing and beneficial insect benefits under fruit trees. Fennel is a gorgeous, strong-scented plant with lacy foliage. It is often paired with basil in an edible landscape. The flower of fennel is umbel-shaped, like yarrow, and the beneficial insects and pollinators love it. Fennel attracts ladybugs, hoverflies, parasitic wasps, and lacewings, and I’ve enjoyed seeing an increase of swallowtail butterflies in my garden. I keep it at the edge of my vegetable and fruit gardens because it’s said that many crops do not grow well with it, but I mulch with it at the end of the season after I’ve harvested all the seeds because it’s a good accumulator of phosphorus. One note: It’s important to harvest fennel seeds at the end of the summer so the plants don’t set seed everywhere. Cook with the seeds and give them away to your gardener friends for planting! Not only are the dainty chamomile flowers cute as a button, they work hard for us in the garden. Chamomile has been called “the plant’s physician” because it supports and appears to heal almost any plant it is planted next to. Chamomile is a fertilizer plant, its roots dredging up potassium, phosphorus, and calcium. Mulching with the spent plants will help improve your soil. The flowers attract pollinators, and beneficial insects are attracted to the lacy foliage. It is said to especially improve cabbage and onion crops, and it works well under fruit trees, too. You may know chamomile best as an excellent tea with calming properties. Now’s your chance to grow your own! 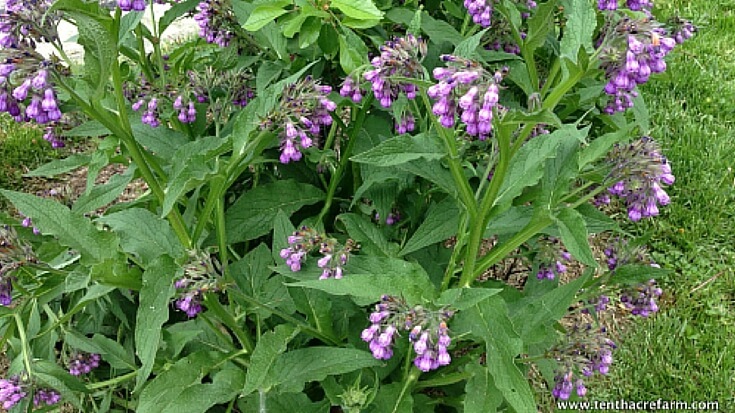 Comfrey is the poster child for permaculture gardens. It’s almost cliché to plant it, except it would be a shame to not grow this plant in your garden. Comfrey is perhaps the most important mulch plant. It’s at the top of the list of natural fertilizers, accumulating potassium, phosphorus, calcium, and a handful of other nutrients in its large leaves. It is commonly planted underneath fruit trees and throughout the vegetable garden. Comfrey’s large leaves can be chopped and dropped frequently throughout the season to feed the soil or to add to a compost pile. The beautiful, bell-shaped purple flowers are popular with pollinators, and the giant leaves attract many types of beneficial insects looking for habitat. I prefer to plant the type called Russian comfrey because, like fennel, comfrey is quick to self-seed. However, the Russian comfrey variety has sterile seed and will play nicely in the garden without spreading. Comfrey is also popular as poultry forage. One of the most useful healing herbs, the dried leaves and roots of comfrey are often used in salves and tinctures. 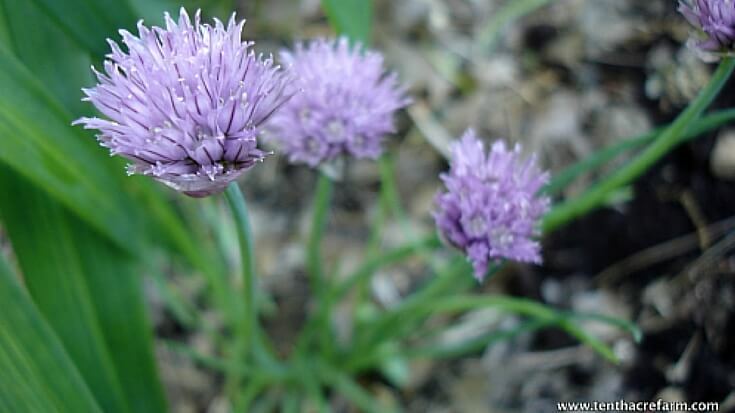 Chives are a more common herb and for good reason. It’s useful in the kitchen and easy to grow. I love to walk outside in the middle of cooking and quickly snip a few leaves. The flowers are gorgeous and make a delicious edible garnish to salads. Another fertilizer plant, chives accumulate potassium and calcium. I like to plant chives at the ends of my garden beds. Giving the plants a haircut a few times a year, it’s easy to mulch the garden beds with the clippings to add some free fertilizer. Pollinators will enjoy the beautiful flowers throughout late spring and early summer. The strong scent of chives is a deterrent to pests, so I plant it among my strawberry patch to deter pests attracted to the sweet scent of ripening strawberries (and fertilize the bed frequently with chive trimmings). Chives are said to repel fruit tree borers, and other fruit tree pests and diseases, so I planted a ring of chives around the trunks of each of my cherry trees. Chives are said to be a good companion to carrots and tomatoes. One of the most useful additions to a productive garden, white clover is the only nitrogen-fixing herb on this list. All vegetable and fruit plants require nitrogen to produce healthy crops, but they can’t access the nitrogen in the soil. Rather, they need certain nitrogen-fixing plants that take nitrogen from the air and convert it to a form that’s usable by the roots of crops. That’s where clover comes to the rescue. There are many other nitrogen-fixing plants, but white clover is the easiest – in my opinion – to use in the garden. In addition to nitrogen, clover accumulates phosphorus. It is commonly used in orchards as a perennial living mulch under fruit trees to protect the soil and continuously provide fertilizer. White clover is also used frequently in permanent garden pathways. It makes a great walkable ground cover, and the nitrogen will filter into the garden beds themselves. A favorite of honeybees, having white clover will only attract more pollinators and beneficial insects because it blooms all season long. It’s a common addition to poultry foraging mixes. My love affair with lemon balm is fairly recent. It wasn’t until a couple of years ago that I discovered the magic of this herb. As an accumulator of phosphorus, it is a wonderful herb to have to grow in the vegetable garden or under fruit trees. It has a clumping growth habit, so it won’t spread into areas you don’t want it to, but it is fast-growing and prolific, so it can be cut back frequently to use as a fertilizer. Its scent will confuse pests in search of your vegetables or fruit crops. Often called the bee herb, the white flowers bloom all season and are popular with bees. Lemon balm’s foliage is a popular egg-laying site for lacewings, a beneficial insect. With a lemony mint flavor, lemon balm has top-of-the-line flavor as a culinary herb and as a tea. It has a long list of medicinal benefits to boot and is commonly used in natural remedies. Having a permaculture garden is a rewarding experience. 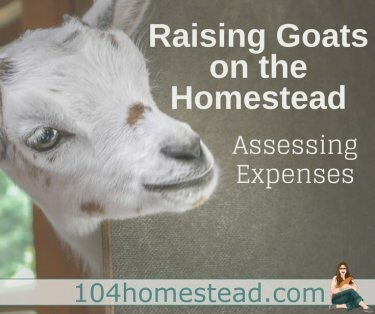 While this is by no means an exhaustive list of herbs for the permaculture garden, I hope this article gives you some ideas of how you can use herbs to improve your local ecosystem, increase the health of your garden, and reduce the amount of work you need to do to weed, fertilize, and manage pests. Jacke, Dave. Edible Forest Gardens, Vol. 2. White River Junction: Chelsea Green Publishing Company, 2005. Hemenway, Toby. Gaia’s Garden: A Guide to Home-Scale Permaculture. White River Junction: Chelsea Green Publishing Company, 2009. Riotte, Louise. Carrots Love Tomatoes: Secrets of Companion Planting for Successful Gardening. North Adams: Storey Publishing, 1998. Lovely post! I love my little herbs and flowers garden! If you have problems with deer in your garden, do NOT use clover! If you must plant it for bees, then plant it an acre away from your garden. Deer will roam down streets & between houses at night to get you tender new growth. Just bought a house and looking for gardening advice. This is great! Thank you! Great post! I have most of these growing already, but really want to add Comfrey! What a fresh perspective on some of the herbs our neighbors consider nuisance plants! Hurray for clover and dandelions especially. We’ll display them next year with pride 🙂 Thanks, Amy, for your thoroughly researched information on all 8 herbs. They’ll be in my garden next spring! Ddl has a higher sugar level in its nectar than apple flowers. And can pull honeybees away from them, watch as you may need to mow them when apples are setting, especially in a windy location. Pruning an apple branch, in flower, and placing it in front of the hive entrance is an old beekeepers trick. Love this! Since we just moved to our “forever home” this past fall, I will be busy planting ALL of these herbs around our homestead gardens this spring! Another fantastic post! I’ll be sharing!! Please can sent me a picture of Lemon balm to my mailbox if you dont’ mind. I have 3 plants in my garden. If it lemon balm I can use it but not sure. Thanks best garden season. Also I have same danlion plant all over my garden. I saw your garden so I will just leave them.